What you invest your time in defines who you are. In his final interview Todd Duncan spoke of his love for spirituals: ". When I sing them my being sings them not my throat. 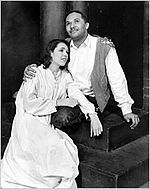 In the same year he sang the role of Escamillo the bullfighter in Bizet's Carmen.